After a historic Test series win against the hosts, South Africa, nothing has gone right for the Sri Lankans with seven consecutive losses in the shorter formats in what has quickly turned into a bitter-sweet tour for them. With the last and final T20 to be played on Sunday, Sri Lanka have one last chance at redemption with South Africa set to ring in a few changes with the series all wrapped up. With the likes of Isuru Udana and Niroshan Dickwella in decent form as well, Sri Lanka might fancy their chances although the Proteas aren't ones to take any match lightly. With another hum-dinger on the cards, the Lankans will hope to salvage something out of the series at the expense of a young South African side. JP Duminy(C), Aiden Markram, Reeza Hendricks, Rassie van der Dussen, Sinethemba Qeshile, David Miller, Andile Phehlukwayo, Dwaine Pretorius, Chris Morris, Lutho Sipalma, Dale Steyn and Tabraiz Shamsi. Andile Phehlukwayo should return to the side at the expense of Dwaine Pretorius or keeper, Sinethemba Qeshile with David Miller proving able with the gloves in the first T20. The rest of the side should remain the same with the likes of Lutho Sipalma and veteran Dale Steyn marshalling the bowling unit against the Sri Lankans. Possible XI: Reeza, Markram, Dussen, Miller(WK), Duminy(C), Qeshile/Pretorius, Phehlukwayo, Morris, Sipalma, Steyn and Shamsi. Isuru Udana proved his worth yet again with a mesmerizing flourish to the Sri Lankan innings, which should hold him in high regards with the World Cup on the horizon. Better batting performances are in order for the likes of Kusal Mendis and Niroshan Dickwella, who need to hold one end for the others to play their natural game. Lasith Malinga has been economical in both matches but could be rested for Lakmal, who will be eager to deliver a few wickets upfront with the new ball. The pitch proved to be a touch slow in the first ODI played between South Africa and Sri Lanka with Faf du Plessis and Quinton de Kock piling on the singles in the middle overs. A similar type of wicket is in order with anything over 170 proving to be a competitive score. Wicket-keeper: Niroshan Dickwella's brief cameo should give him some confidence for the third ODI with only pride on the line for the Sri Lankans. He is the ideal candidate with Qeshile's inexperience in the international circuit counting against him. Batsmen: Two of the top four of the South African batting order is a must with all of them in good run-scoring form. Aiden Markram missed out in the second T20 but should be backed to bounce back with a good performance. Kusal Mendis is another viable option for the fantasy team with his undeniable ability in the top order. All-rounders: Chris Morris took three wickets in the previous match, proving his worth as a able new-ball bowler. He is an invaluable asset to the side while the likes of Thisara Perera and Dhananjaya de Silva are also good picks to have in the side. Bowlers: Tabraiz Shamsi's leg-spin proved too hot for Lankans and should be ideally backed for an encore on Sunday while one of Lutho Sipalma and Dale Steyn should make the cut. Along with Isuru Udana, Jeffery Vandersay seems to be a good option as well. Captain: Aiden Markram is in good form and is due for a big one on Sunday. 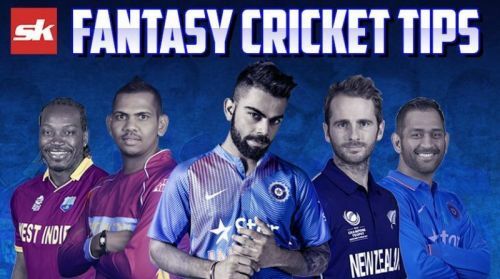 Along with the SA opener, the likes of Chris Morris, Thisara Perera and Niroshan Dickwella are also capable of filling in as captain of the fantasy side.